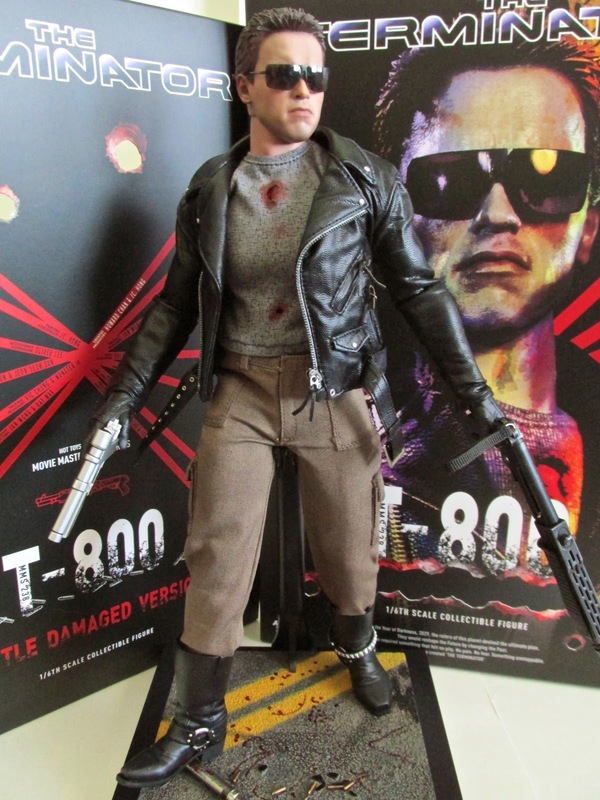 So it looks like The Terminator will celebrating its 30th anniversary and to help celebrate that we have Hot Toys latest release of the T-800. 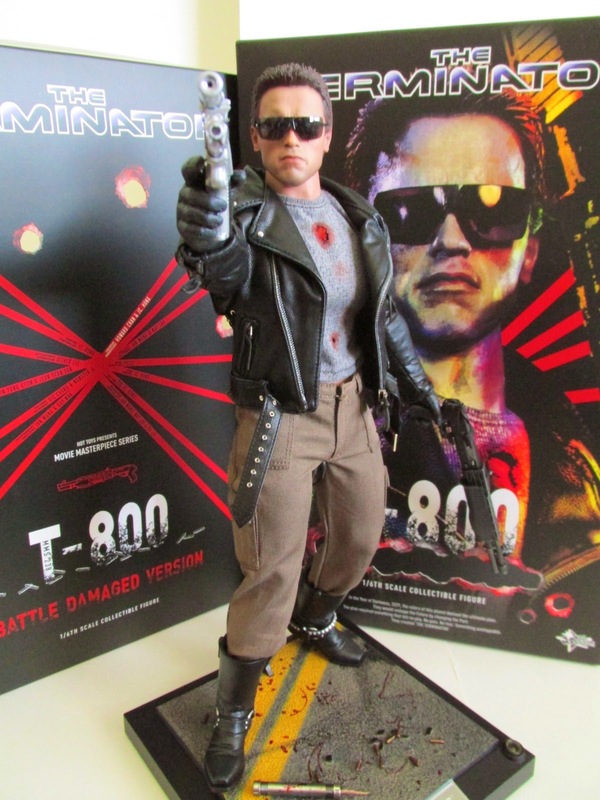 This version of the T-800 was actually one of Hot Toys's first release only it didn't have the likeness of Arnold Schwarzennager. 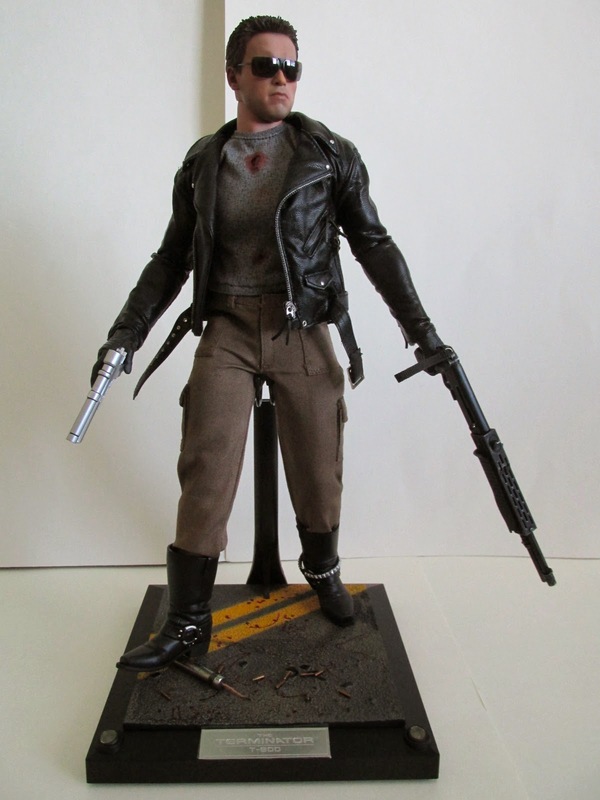 This time around they managed to secure his likeness and have brought us a definitive version of this figure. 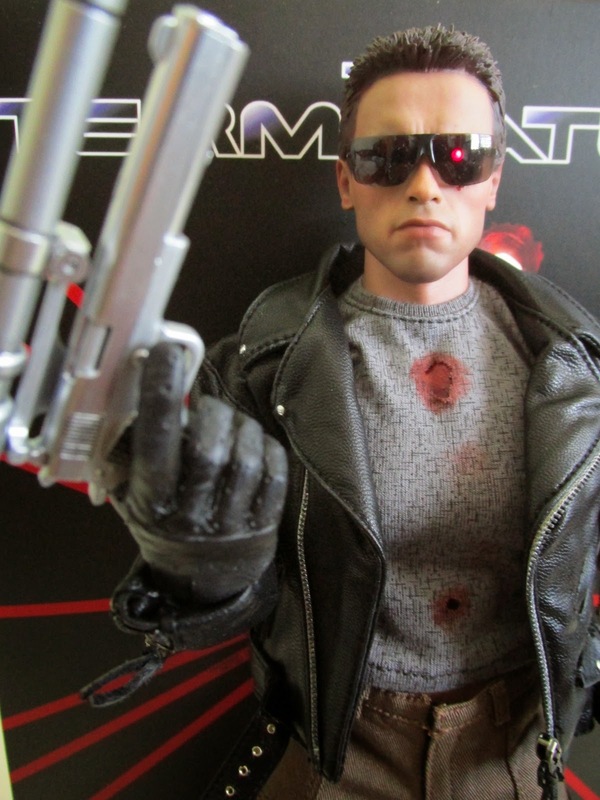 This T-800 is seen in the second half of the first movie and is the costume that is seen on the now iconic poster. This time around you get two face sculpts; one just has an eye missing while the other has extreme battle damage. Both are very detailed and true to what Arnold looked like at this stage during the movie. The eyes on both heads also light up and are quite bright. When you turn on the light, it will last for about 40 seconds and then switch off. A nice little touch that I hope will be implemented for future releases. 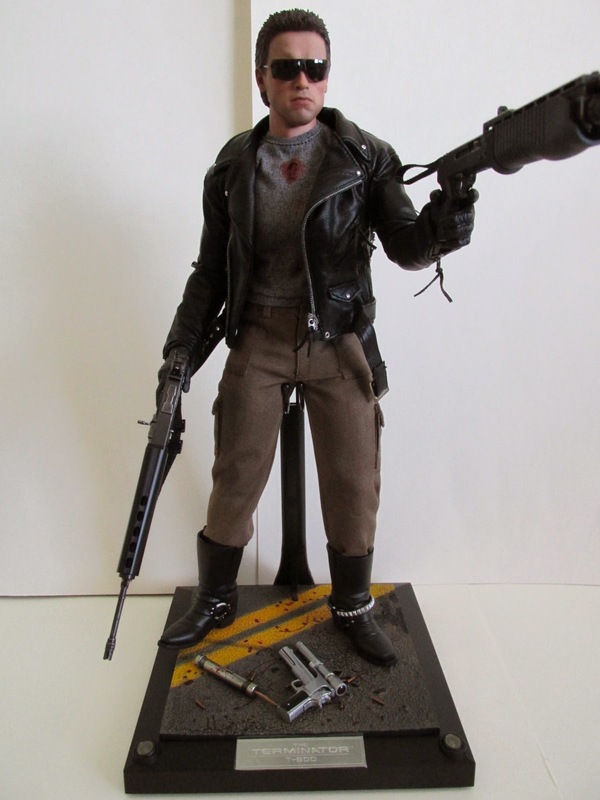 He comes with two hand guns, a machine gun, shot gun, sunglasses, the usual set of hands, and a light up base. I will say you should handle the sunglasses with care. They are a bit fragile on the wire parts and can bend very easily if you are not careful. 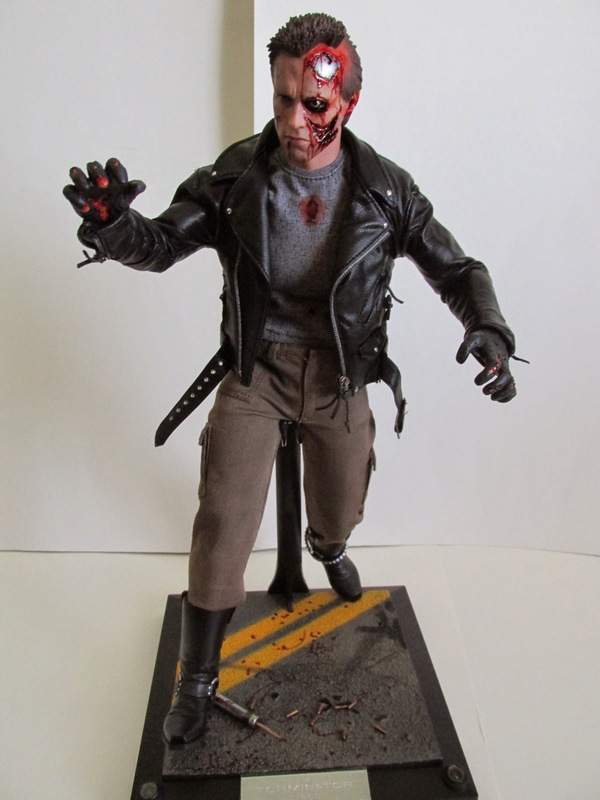 The base is a very nice touch and even has the stick of dynamite Kyle Reese used to blow up the truck the T-800 was driving. I'm loving his guns and they are quite huge when he is holding them. The two larger guns are the ones seen when he shoots up the police station, while his small silver hand gun is the one seen on the poster. The revolver I didn't see in the movie, but probably was used at some point during the film. 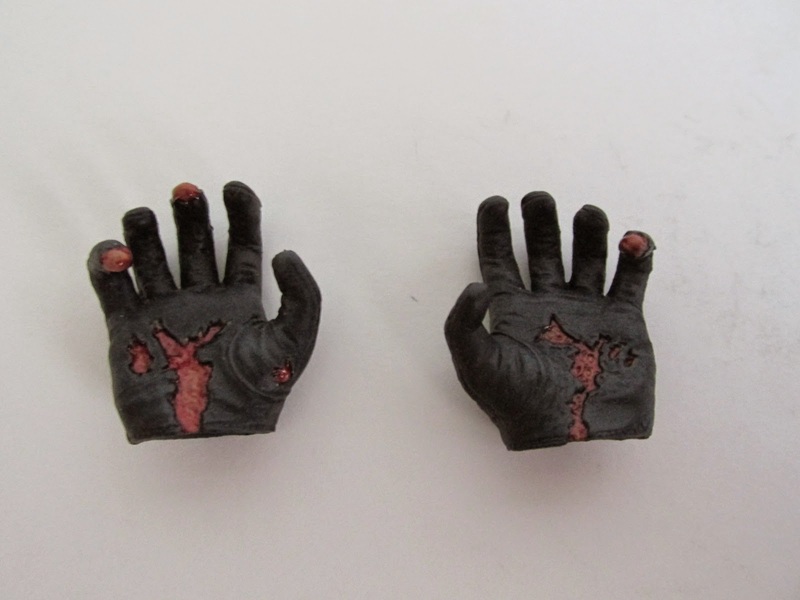 Battle Damaged wise he comes with two bloody hands that are in a claw like pose and the extreme battle damaged head. 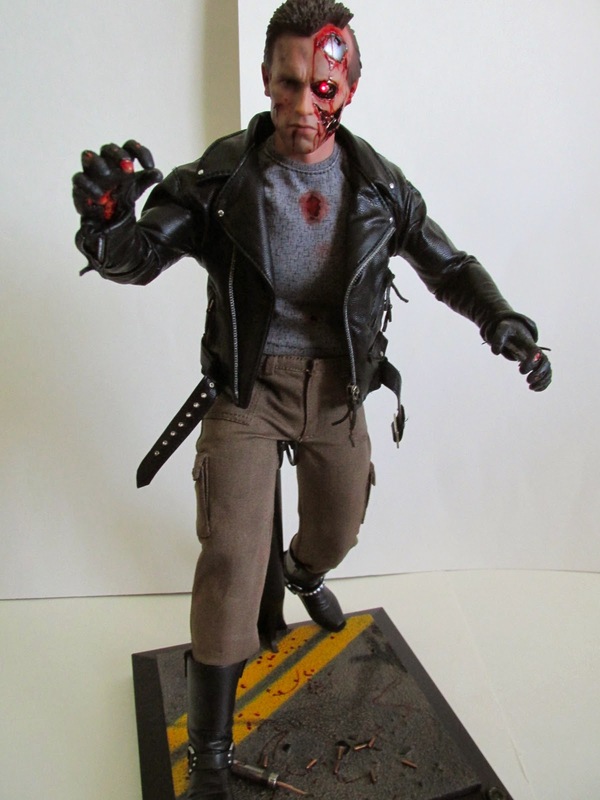 It's too bad he didn't come with other battle damaged hands but at this point in the film he was driving a truck and not shooting guns so much. Another nice touch is his right arm also has his metal skeleton showing. You can see this by rolling up his jacket sleeve and like in the movie you can see his skeleton exposed at this limb. This is another great win for Hot Toys and when posed correctly you can probably fool a lot of people into thinking this is Arnold. If you like Terminator, then I do recommend this release especially with the soon to be released new Terminator film. 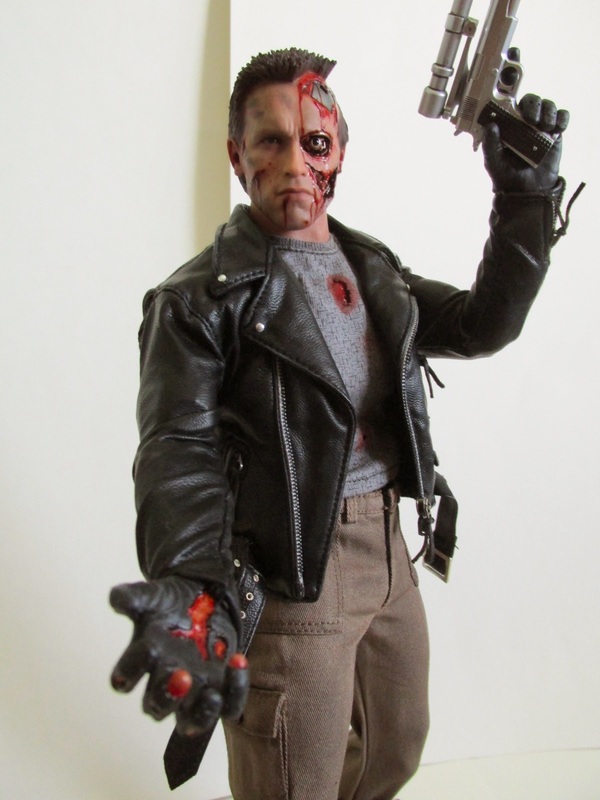 This T-800 can be bought here!